What an absolute pleasure to be invited to celebrate 20 years of Babington House! 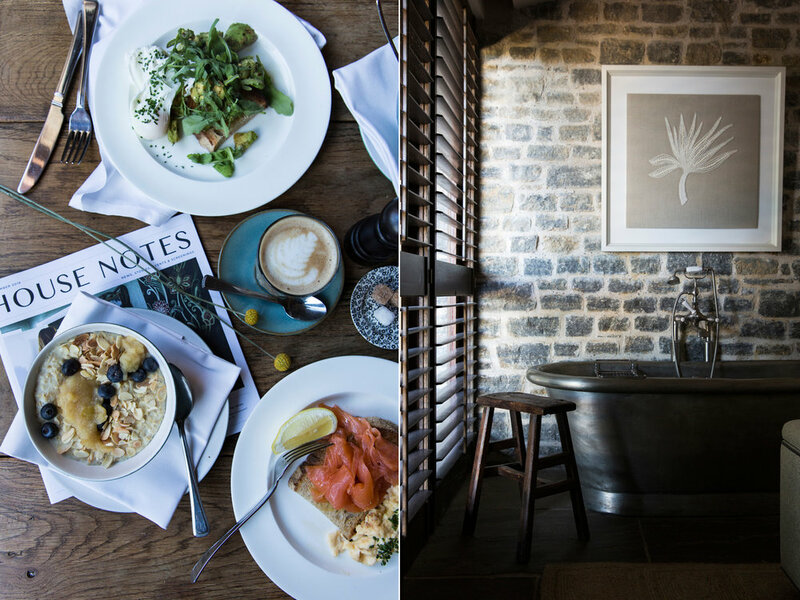 We arrived in the beautiful Somerset location for brunch held in the cosy, private dining room. Sunshine streamed in and the fire roared and coffee and sweet corn fritters with scrambled eggs began the day perfectly. Later, we made our way to the walled garden that is filled with autumn veg ready to be harvested. The open bbq grills were lit and a beautiful outdoor table set as we enjoyed a cookery class with Anna Barnett , our menu consisted of pork schnitzel in bread crumbs and lemon zest, potato salad with homemade mayo and herbs from the garden and beautiful salads filled with just picked leaves and edible flowers. We dined alfresco in the late September sun and the food was so tasty but even more so, because doesn’t food always taste better when you help make it with friends and then eat outdoors? The next morning, the alarm had been set and some brave souls were out to greet the sun rise and it was one of the most beautiful starts to the day that I’ve seen in a really long time, and Babington House really shows off in that golden glow. It was also absolutely freezing and my toes were completely numb so we ordered breakfast, put on the log burner and drank coffee until it arrived. There was just time for a treatment at The Cowshed, before, feeling 10 years younger, I wished Babington House many more happy years ahead and I headed reluctantly back to reality. Older PostFEATURED | The Simple Things Front Cover!